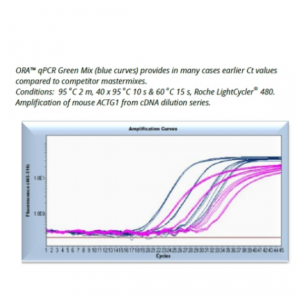 highQu ORA™ qPCR Probe Mix is based on the small molecular inhibitor technology Hot Start PCR, which achieves extremely high sensitivity and specificity under both standard and fast qPCR cycling conditions. 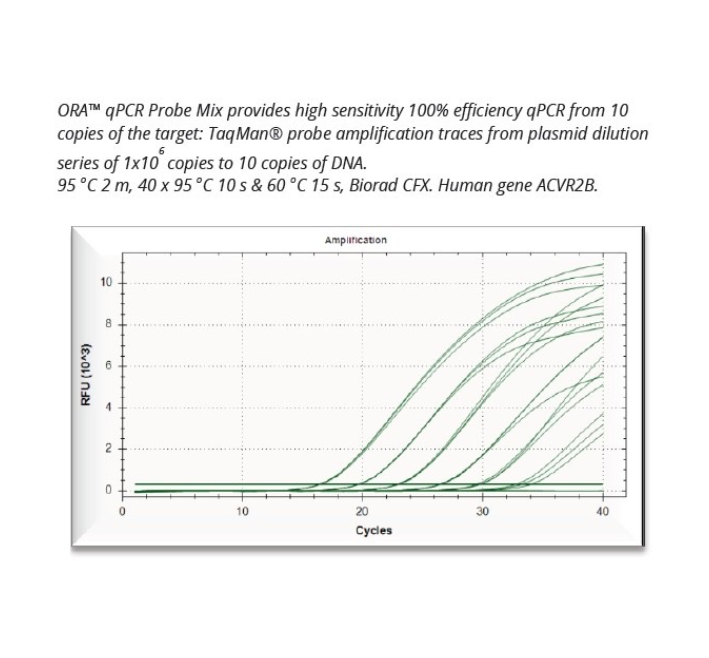 They provide excellent results on both AT and GC rich templates, in multiplexing and guaranty rapid extension with early Ct values with minimum or no optimisation. Supplied with PCR Water to guarantee optimal performance. To suit the broad instrument range the ORA qPCE Probe Master Mixes are available in three versions – without ROX, with low or high ROX concentration. Specific Probe 200 nM final c.